The company “Tessa” is pleased to offer you a full range of customs services. Our high-qualified employees are well versed in all intricacies of the current Customs legislation and constantly monitor its amendments. We are always aware of the latest innovations in customs clearance for both imports and exports. 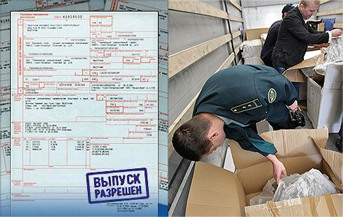 Release of the delivered goods for free circulation on the territory of Russian Federation. The customs clearance is complicated process. We alleviate it providing the range of services. Our experienced staff will consult you on any questions and help to make any customs operations, simplify and accelerate dialogue with the official customs authorities. Qualified specialists are able to provide you with full comprehensive customs consultation. They assume the implementation of rather complex projects. The price for our services is affordable, but it does not affects quality. Long experience in this field, as well as professionalism allow us to provide a worthy combination of price and quality. A clear, competent approach to work and acquired business contacts s help us to minimize all costs. We understand that your ultimate price depends on charges for customs clearance and try to optimize you costs. For each specific problem, we can offer customized solutions, settling any disputes arising in the process of custom clearance. As a result, you get a complete set of documentation that permits legal export and import.